President Donald Trump on Tuesday said Rep. Ilhan Omar, one of the first Muslim women in Congress, should resign over Twitter comments that leaders in both parties have called "anti-Semitic." 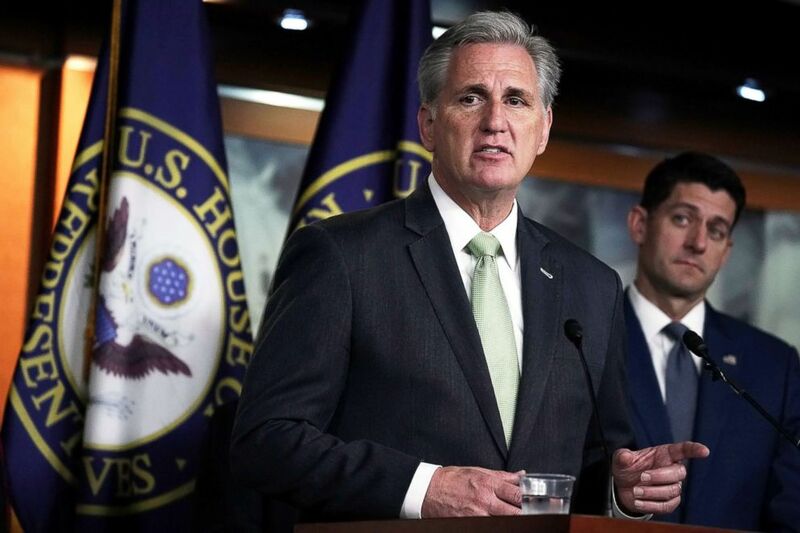 (Alex Wong/Getty Images) U.S. House Majority Leader Rep. Kevin McCarthy (L) speaks as Speaker of the House Rep. Paul Ryan listens during a news conference on June 20, 2018, on Capitol Hill in Washington, D.C. The Anti-Defamation League, which condemned Omar's comments as "promoting the ugly, anti-Semitic conspiracy theory that Jews have an outsized influence over politics." On Monday, Rep. Jerry Nadler, D-N.Y., the chairman of the House Judiciary Committee, called Omar’s comments “deeply hurtful and offensive,” while Reps. Josh Gottheimer, D-N.J., and Elaine Luria, D-Va., who are Jewish, began circulating a letter calling on Democratic leaders to take “swift action” to condemn the comments. 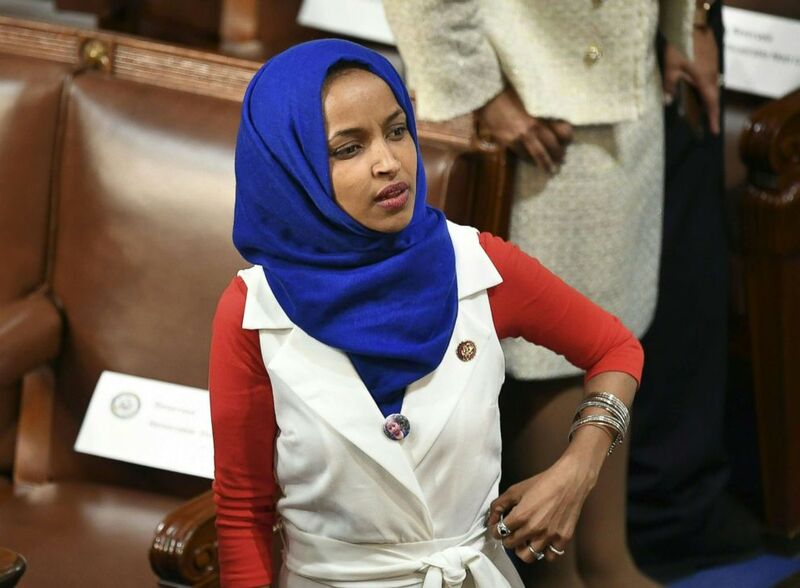 Rep. Eliot Engel, the Democratic chairman of the House Foreign Affairs Committee on which Omar serves, also criticized her comments in a statement Monday but made no mention of removing her assignment. 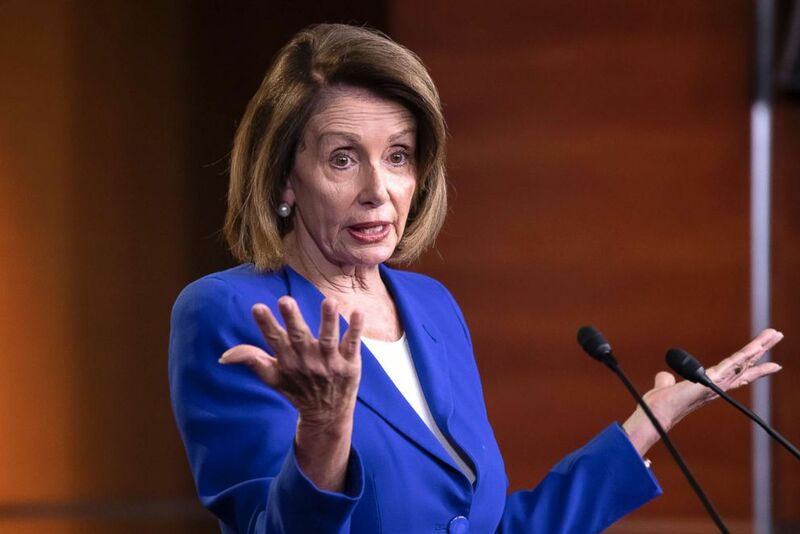 (J. Scott Applewhite/AP) Speaker of the House Nancy Pelosi talks to reporters during a news conference at the Capitol in Washington, Jan. 31, 2019. ABC News' Soo Rin Kim contributed to this report.